Additional information for Scholarship Chairs concerning chapter scholarship programs and requirements can be found on Pride Online, the secure portion of the website. 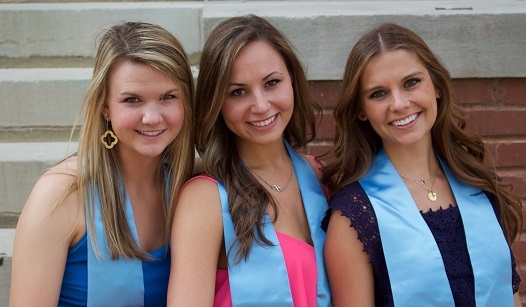 The Alpha Delta Pi Foundation offers competitive scholarships and emergency assistance grants to collegiate and alumnae members. Many local Alumnae Panhellenic organizations also offer scholarships for members of National Panhellenic Conference organizations.You can learn more about the scholarship opportunities available by visiting the Alpha Delta Pi Foundation’s scholarship page.